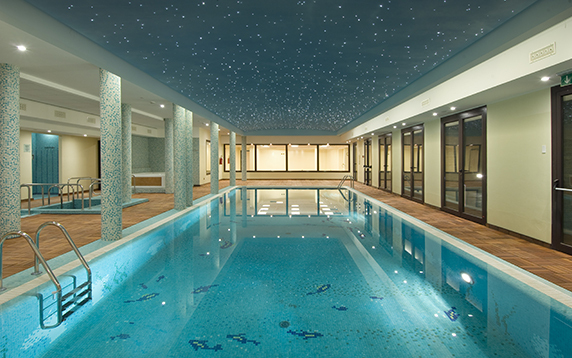 SPA or Salus per Aquam: the Latin acronym describes the beneficial properties of a swimming pool bath. 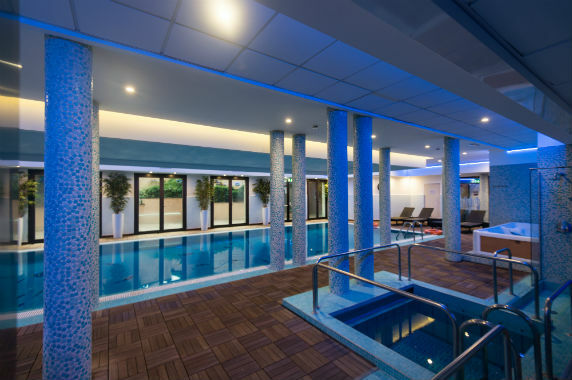 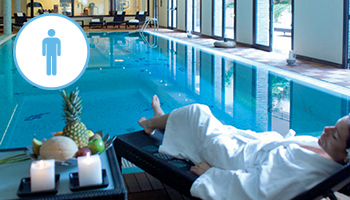 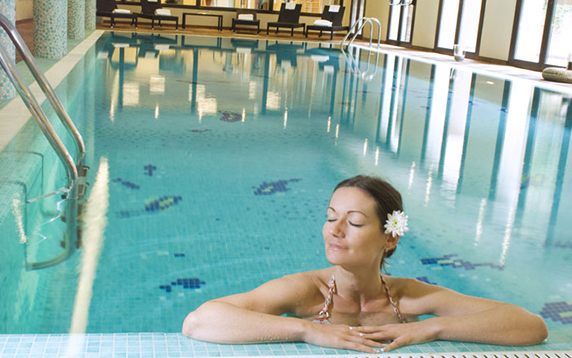 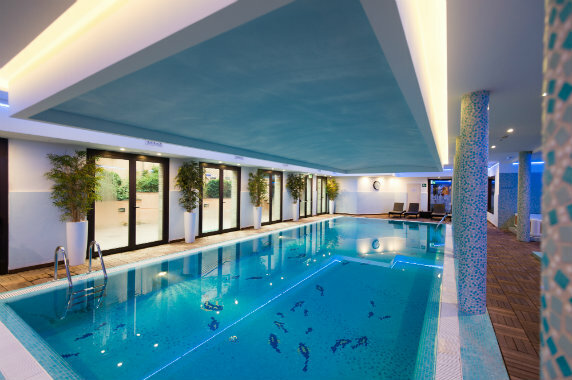 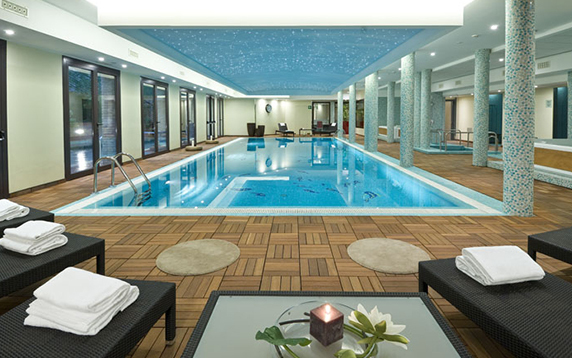 Immerse yourself in the warm waters of our pool, to attain a psycho-physical relaxation. 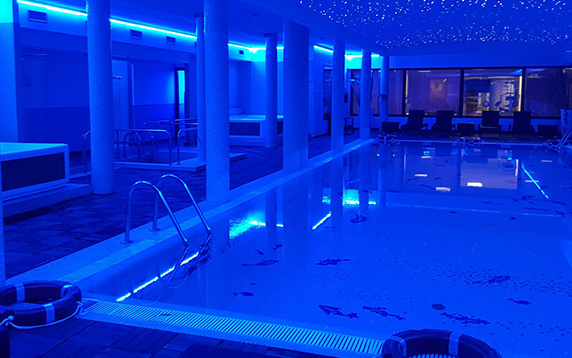 Colors and materials create a calm atmosphere that make sure that anxiety, stress and worries disappear; in the evening the atmosphere is even more suggestive because the pool’s ceiling magically turns into a starlit sky! 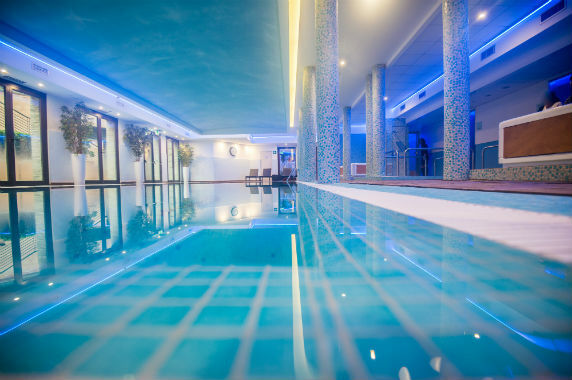 The swimming pool is the heart of our wellness center and of the wet area: it welcomes its clients with a gentle warmth that immediately relaxes you. 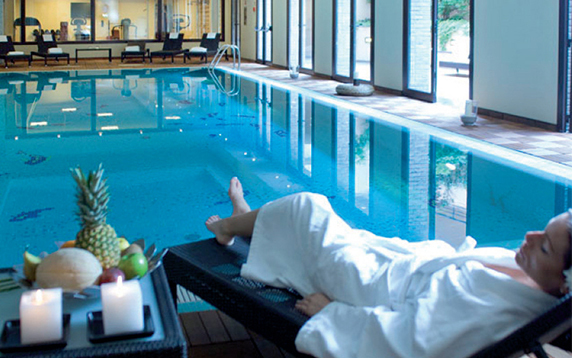 Immersing in water the feeling of heat becomes more intense and relax your legs, arms and the whole body. 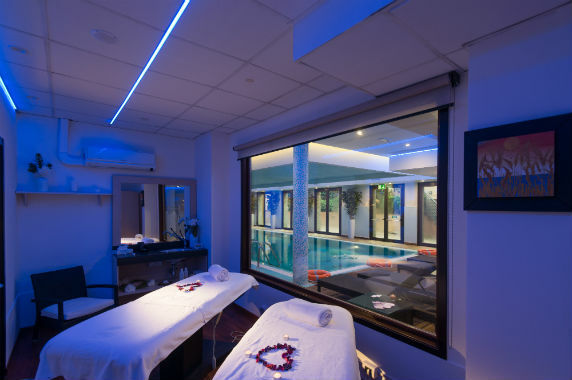 The wet area of ​​the SPA is enriched by sauna, Turkish bath and relax area, in order to make the wellness path complete and satisfying. 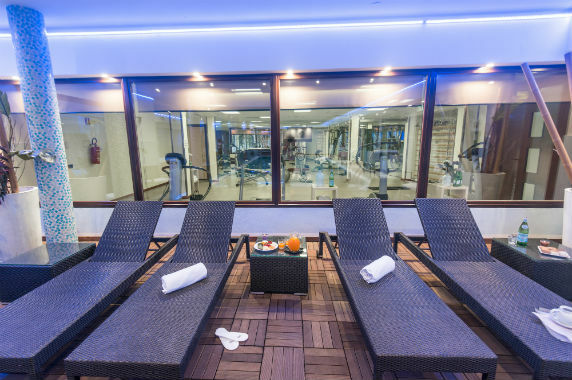 The sauna is a great way to relax. 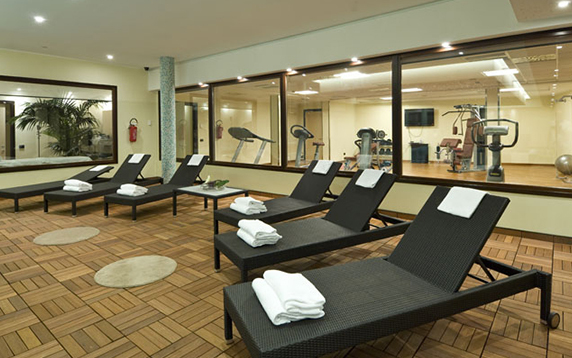 The wood, the dry heat released by the stones makes the atmosphere warm and enveloping. 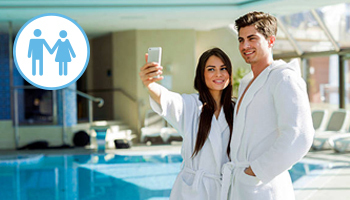 Even the Turkish bath has several benefits, including the blood circulation and a purification of the skin, determined by the pores’s dilation: the skin after this appears immediately elastic, soft and luminous. 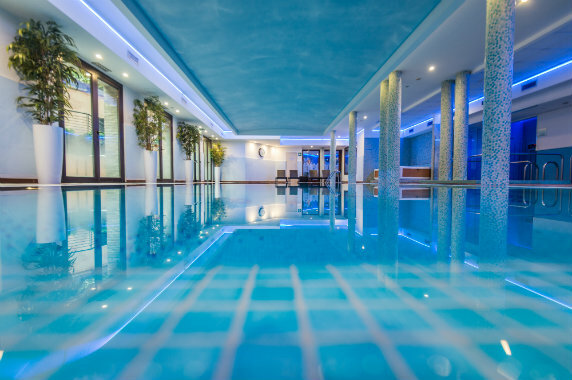 The cold plunge water pool are used to stimulate blood circulation and rapidly cool the body, especially after time in sauna or Turkish bath. 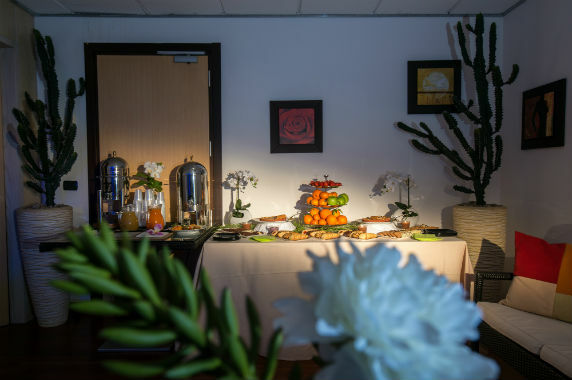 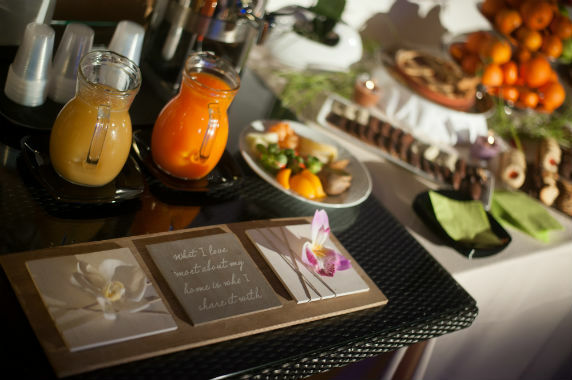 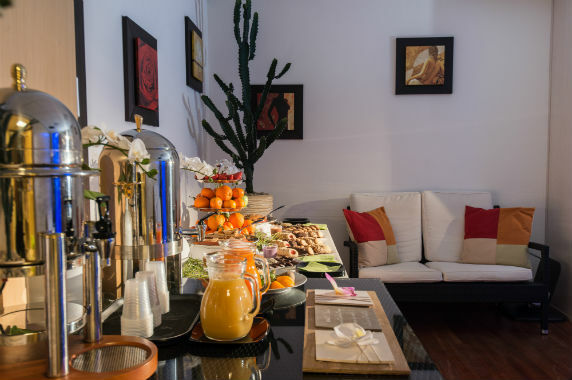 In the relax area you will find a tea corner and some sun loungers, where you can sit and drink your herbal tea in peace. 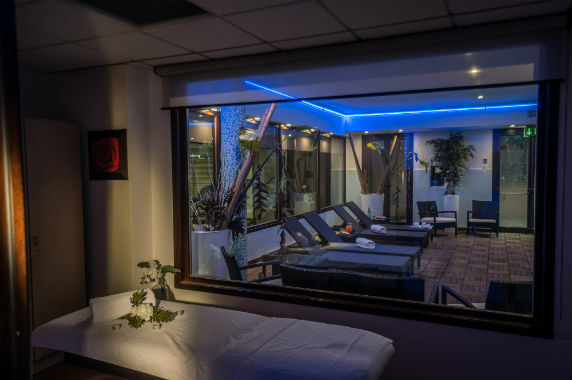 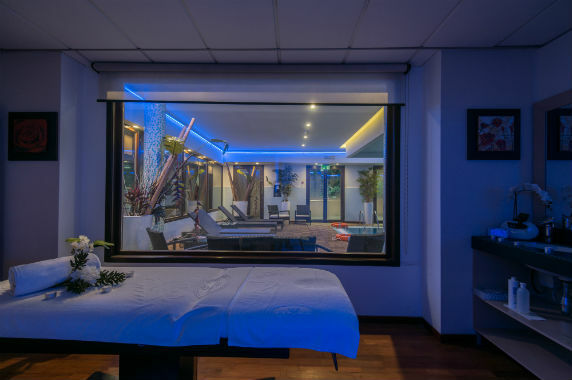 The spacious and welcoming Jacuzzi of our SPA produces a small massage with positive effects on the circulation and the muscles of the legs, arms and back. 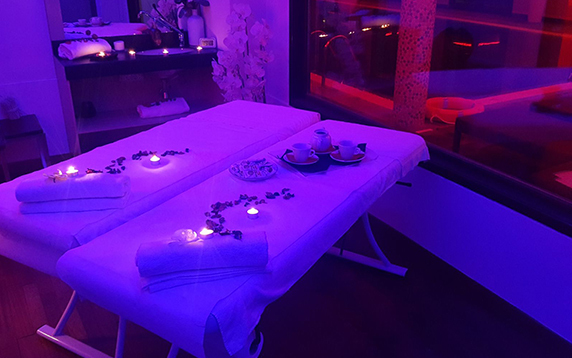 What are the benefits of hydromassage? 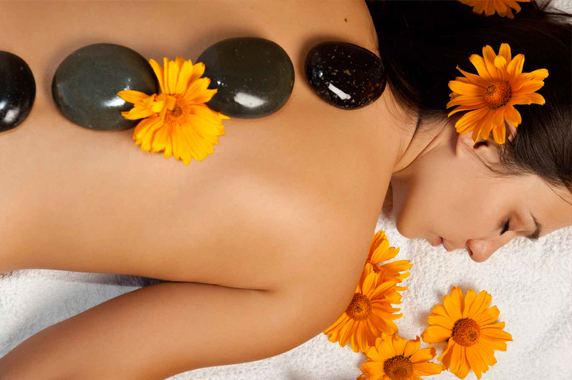 it prevents and completes the treatment of cellulites. 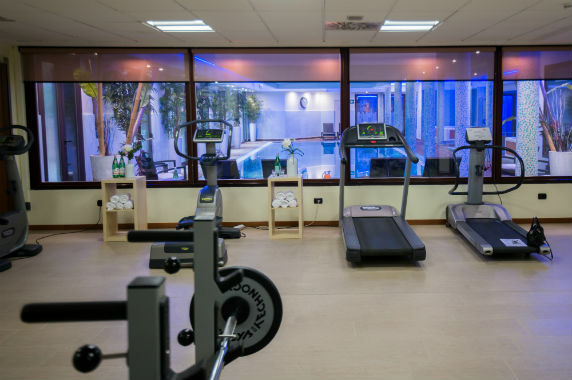 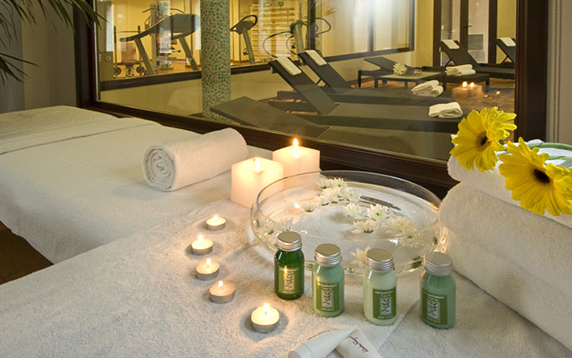 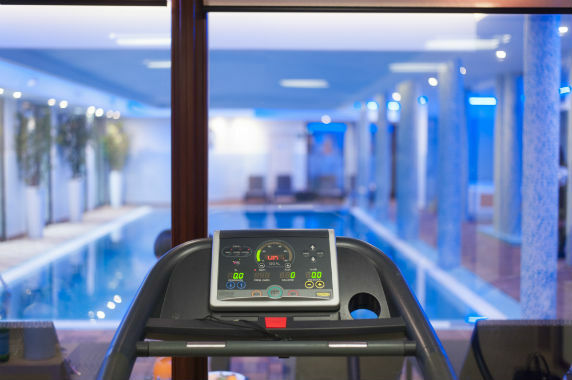 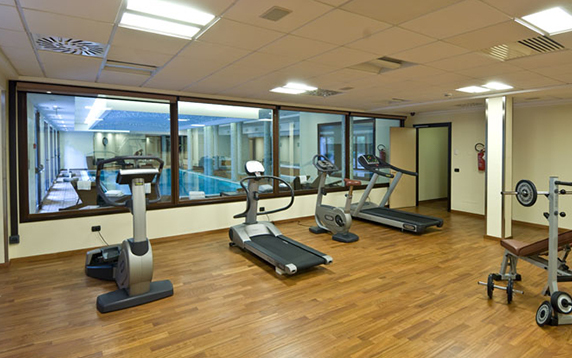 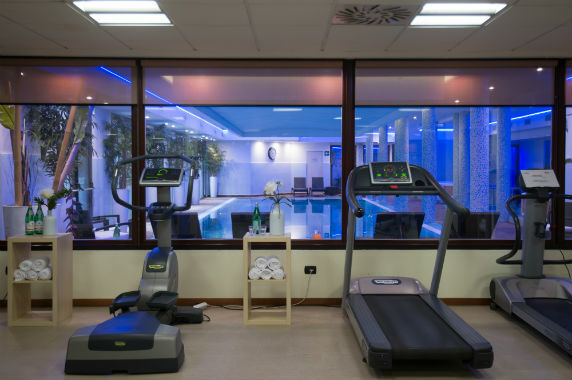 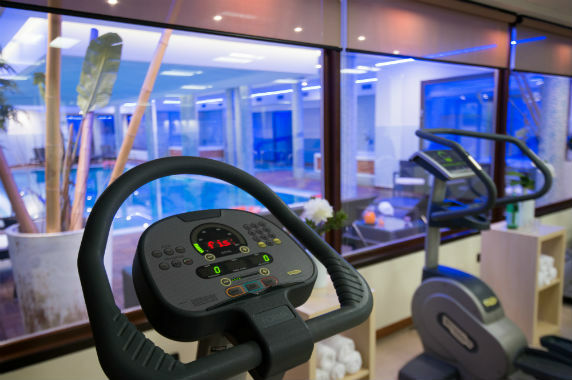 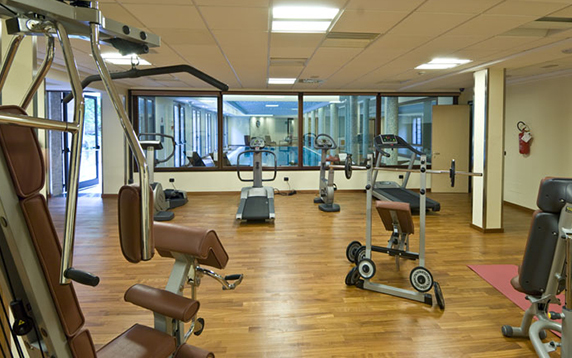 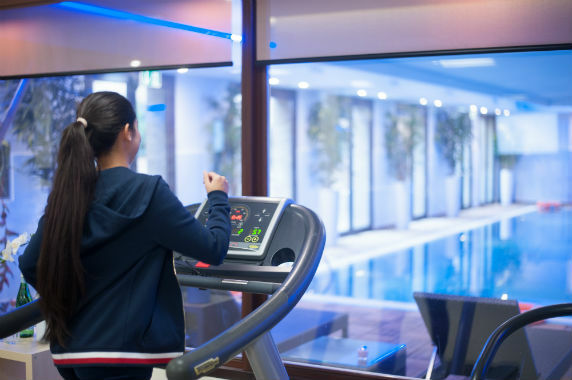 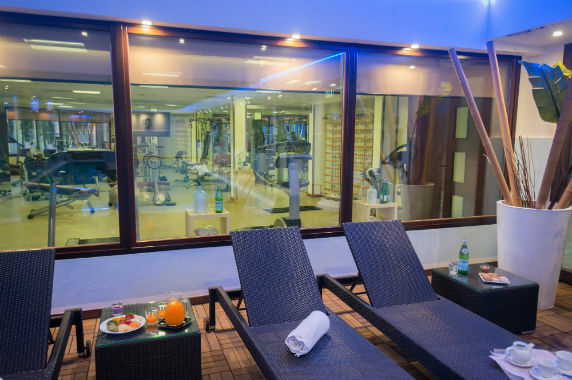 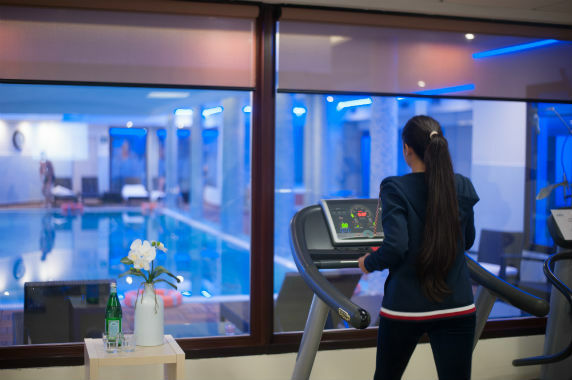 The fitness area, which overlooks the swimming pool, is equipped with the most modern equipment and is designed for those who want to enrich the stay at the spa with some exercise. 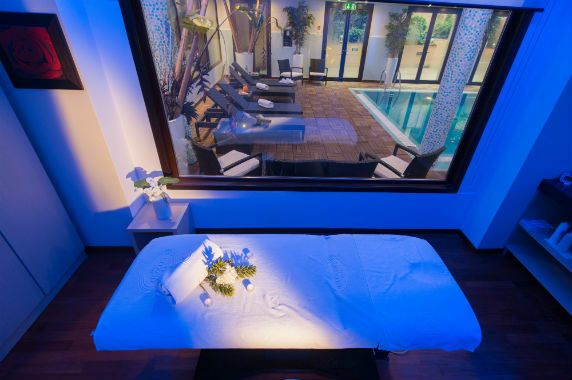 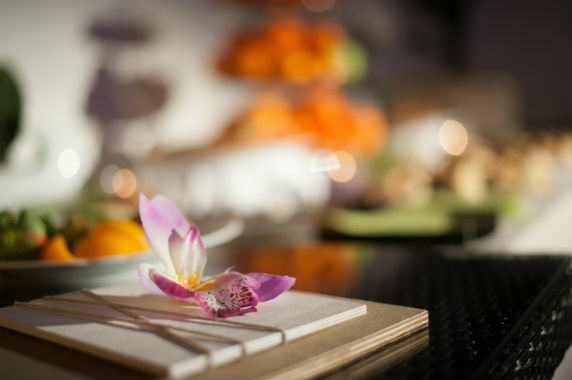 The beauty center of Armonia SPA offers a wide range of facial and body beauty treatments, ideal to complete and enrich the wellness path, making it unique and unforgettable. 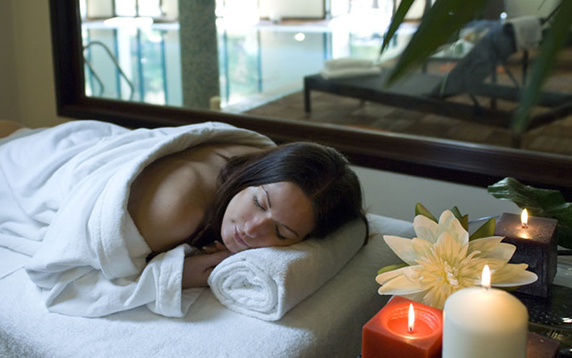 In the relaxing massage area you can benefit of many types of massages, even for couples. 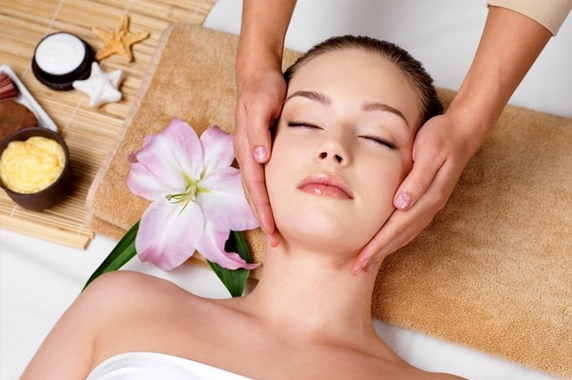 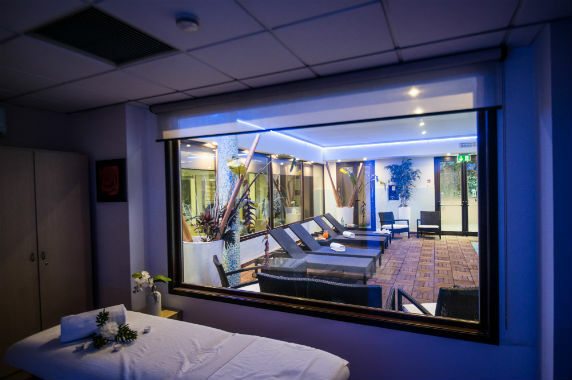 Our staff will be happy to recommend you the most suitable treatment for your body. 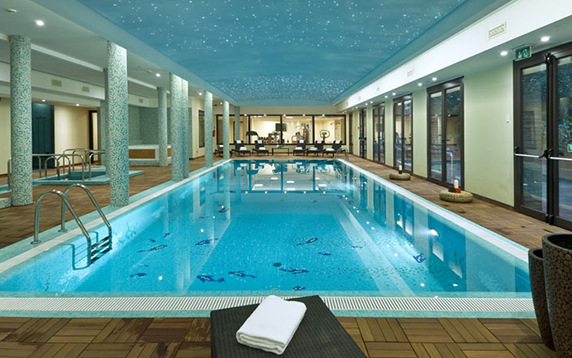 The access to the SPA is forbidden to children up to 5 years old. 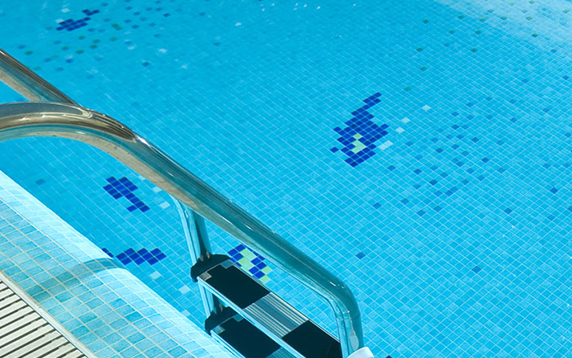 Children between 6 and 17 must be accompanied by an adult which needs to take full responsibility for them.